I'm back with my second Datsumo Labo post!!! Apparently many of you must have liked my first post for them and decided to go to Datsumo Labo, because they are doing very well!!!! Well I guess I can't really claim credit because what they are offering almost seems too good to be true wtf, it is no wonder that they are doing well! 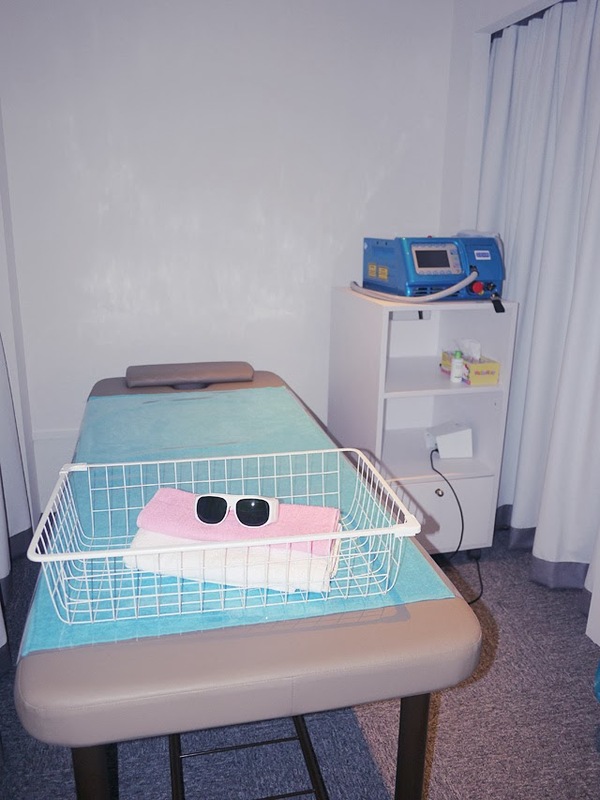 In case you didn't read my first Datsumo Labo post and can't be bothered to, Datsumo Labo is the fast growing hair removal salon with over 50 outlets in Japan! IMHO, they have completely revolutionalized permanent hair removal! How is Datsumo Labo different? 1) It is very very affordable. IPL service have always been expensive. 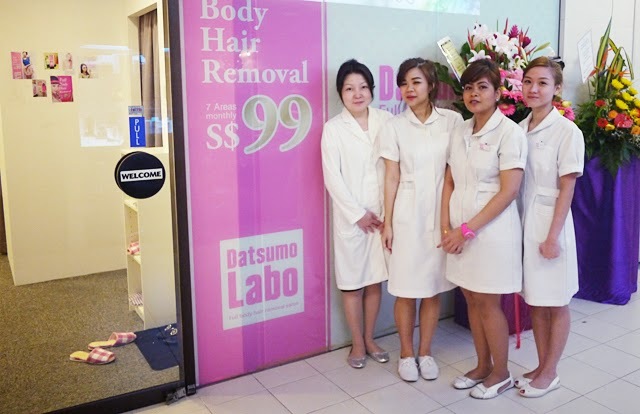 Datsumo Labo makes hair removal very affordable for everyone by scrimping on things like renovation. HOW AFFORDABLE IS IT? How does a 4 area hair removal for only $69 sound? If you consider just waxing off your brazilian area is already $50++, this is permanent and covers FOUR areas... so yes, VERY affordable! 3) There are no hidden fees..
No accosting customers to sign dodgy packages from spas that shut down a few months later. Everything is written very clearly so you totally understand what you are paying for and how much. 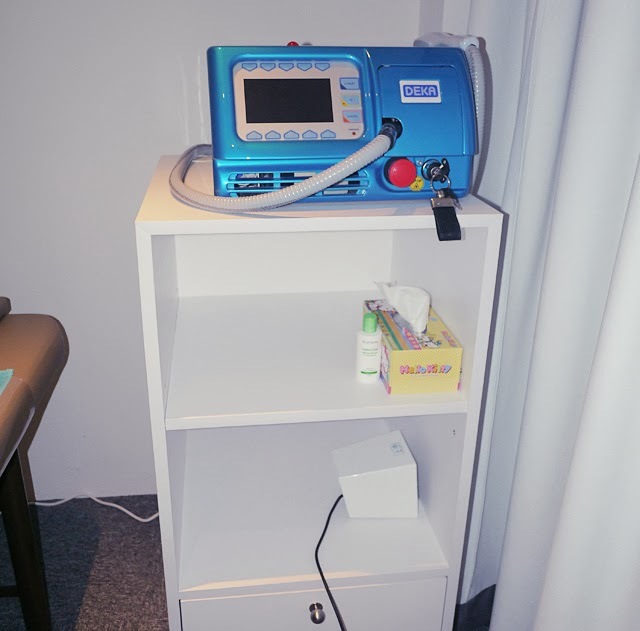 4) Datsumo Labo, unlike other places that provide permanent hair removal, ONLY DOES PERMANENT HAIR REMOVAL AND NOTHING ELSE. They are specialists, so don't expect to get a pedicure, a facial, or a massage from them. 5) FULL REFUND if there are no results. 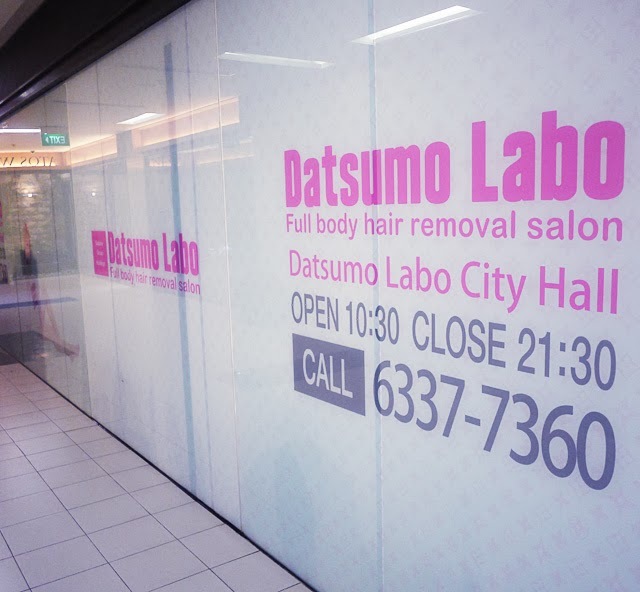 Datsumo Labo's third branch opened in Adelphi Mall... It is directly opposite Funan IT mall, very conveniently located next to City Hall MRT. I give it a visit! The last time I went to Datsumo Labo, I was still breastfeeding and wasn't a suitable candidate for permanent hair removal. This time round I'm done with breastfeeding and am 100% READY TO GET MY SMOOTH HAIRLESS SKIN!!!!!!!!!! AND FAIRER TOO!! When I arrived I saw loads of life sized and larger than life posters of me!!! I was printed all over the storefront!!!! SO AWESOME, I LOVE!!!!!!! Must take photo with self and self. I love Datsumo Labo's salons... 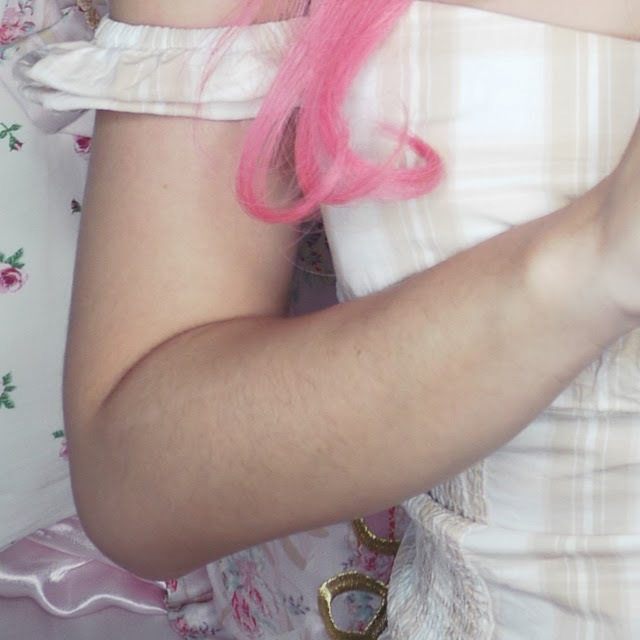 The colours are always pink and white, so pretty! Here's the team of aestheticians, trained to battle against your unsightly body hair. Haha! Bloggers who go to Datsumo Labo! I do another round of consultation with my aesthetician. 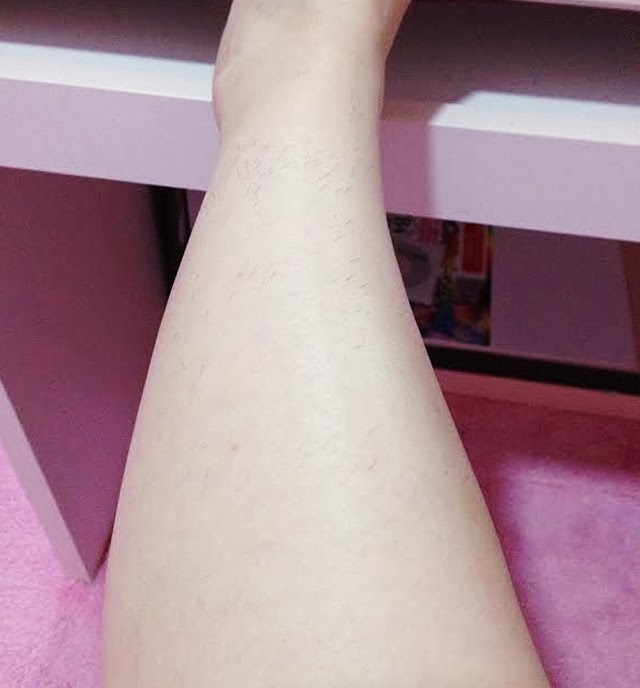 I'm too hairy everywhere so I decided to just do a full body hair removal! Just like the branch at Tanjong Pagar, the Adelphi branch is also extremely minimalist with no fancy decorations at all. Just a basic bed, and all the other necessities. With my glasses camwhoring with DEKA, who is the superstar in the room. This is the "beans" gel that will be applied on my whole body later. 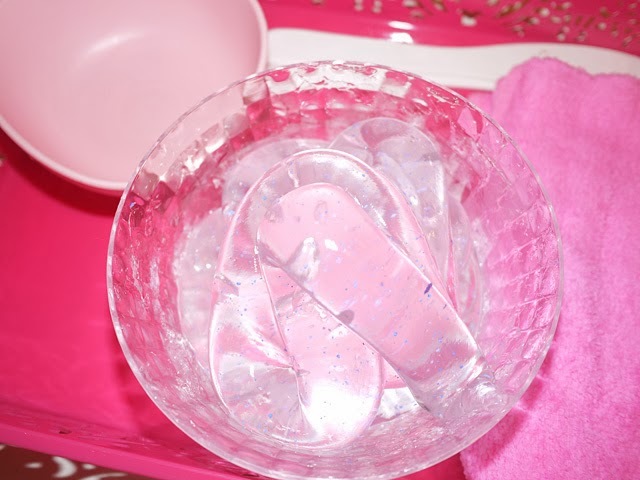 It not only moisturizes your skin and is really expensive, it will also make your skin fairer!!! For the full body removal, I start by lying on my front, completely naked. I felt very self conscious about my nether regions being exposed to all, but I barely had any time to panic. I had 3 aestheticians working on me at once so that I can be done in less than one hour, and they all worked so well with one another!!! While a person is shaving, another is applying gel and another is shooting laser beams at me. With so many things going on at once, my skin couldn't even understand what exactly was going on where. I FELT NO PAIN AT ALL. NONE. In fact, I actually LIKED it when the machine goes off because it makes my skin feel a little warm, and I felt quite cold!! And suddenly, my back was done so I flipped over. When it was time to do the brazilian area, I panicked. Even though the rest of the body felt really painless so far, I IPL-ed the brazilian area before at other salons and it hurt so much I almost screamed!!! It felt like someone was stabbing me down there with a hot long needle! I suddenly recalled that unpleasant sensation and wondered if Datsumo Labo will be the same. I clenched my teeth as my aesthetician nonchalantly went on with that area as she did everywhere else. I waited for the pain to come. I couldn't believe it!!!!!!!! HOW CAN IT BE?? And just like that, my whole body was done. My whole body felt so soft and smooth thanks to the beans gel too. There was absolutely no sign that I went through permanent hair removal, which was supposed to hurt and be unpleasant. In fact, I felt pampered and cozy. During the treatment they shaved me. Afterwards, the hairs grow out and those that got lasered will fall off by themselves. Hairs have cycles - they grow, reach their maximum length, then fall off naturally. So at any point, some follicles on our skin do not have hair in them, and that's because they fell out and are growing back again. 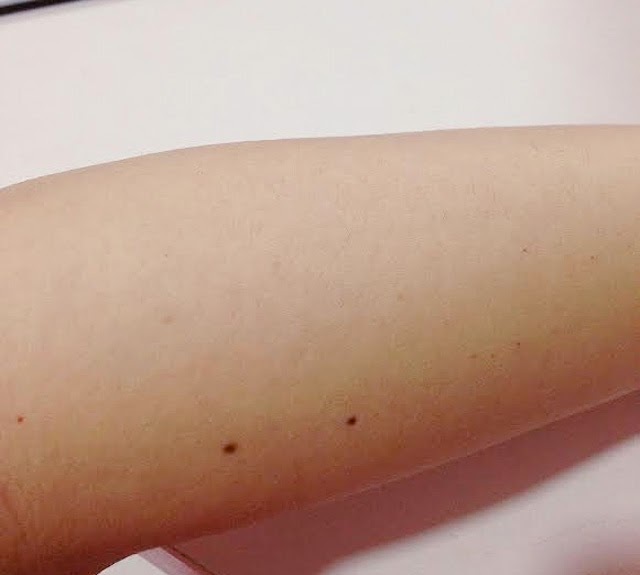 These empty follicles cannot be IPL-ed because light therapy works via the contrast of dark hair against fair skin. To not be too technical, this means IPL works via doing it several rounds so you manage to shut all the follicles down! In fact, the hairs remaining are so fine and sparse that they can hardly be seen!!!!!!!! My arms look so smooth and fairer too! After two sessions, I've lost about 80% of my leg hair. See the hairs near my ankles? If I never went for treatment, my leg hair is even denser than what you see near the ankles!! YES I KNOW IT'S SUPER DISGUSTING!!! That's why I love Datsumo Labo coz I'm finally solving this hair problem of mine!! With Datsumo Labo, all of us can finally get the baby smooth skin we want! OMG is it possible? Datsumo Labo just got EVEN MORE AFFORDABLE!!! FASTER BOOK YOUR APPOINTMENT NOW!!! Go to http://datsumo-labo.com/booking and you can get a booking done in just 40 seconds! Remember to like Datsumo Labo's facebook page to get the best promotions!